The Court today further defined the scope of the concept of 'undue delay’. Regulation No 1408/71 allows people to apply for authorisation to travel abroad for medical treatment. When granted, the sickness insurance fund is obliged to reimburse the person for the costs incurred. In the present case, Mrs Watts, whose daughter had requested authorisation for her mother to receive treatment abroad, was denied such authorization by the Bedford Primary Care Trust, on the ground that she could receive treatment without “undue delay”. 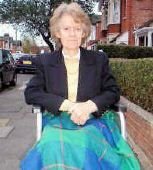 Mrs Watts was re-examined in January 2003 following a request for judicial review of this decision and, despite a second refusal of Bedford, underwent surgery in France for which she paid £3,900. She appealed against the refusal in order to get these costs reimbursed, but the UK High Court dismissed her appeal. It held that although Bedford had been incorrect to state that her situation fell outside the scope of Article 49 EC, Mrs Watts could have been treated within three or four months after her case was reassessed in January 2003, which did not constitute “undue delay”. Both Mrs Watts and the Secretary of State for Health appealed to the Court of Appeal, which referred several questions to the European Court of Justice. The Court of Appeal first of all asked whether the criteria for defining the phrase ‘within the time normally necessary for obtaining the treatment in question’ in Article 22 of the Regulation are the same as those used to define the concept of undue delay in the context of the application of Article 49 EC. The Court of Justice had already held in Inizian that the concept of undue delay in the context of Article 49 must be interpreted on the basis of clinical considerations arising in each individual case, not by having regard to normal waiting times and lists based on economic considerations. The competent institution should inter alia take into account the patient’s medical condition at the time when authorisation is sought, his medical history, the degree of pain or the nature of the patient’s disability. The Court of Justice now held that these criteria also apply to the interpretation of Article 22 of the Regulation. The Court of Appeal furthermore asked in what circumstances an NHS patient is entitled under Article 49 EC to receive hospital treatment in another Member State at the expense of that national service. The Court of Justice first examined whether Article 49 EC applied in the present case. It reiterated that the provision applies to a person who is in need of medical treatment and goes to another Member State to receive the treatment. The Court held that this is regardless of whether the provision of hospital treatment in the context of a national health service, with which that person is registered - such as the NHS -, is in itself a service within the meaning of the Treaty provisions on the freedom to provide services. The Court subsequently considered whether such overriding reasons applied to the present case. the existence of waiting lists intended to plan the supply of hospital care on the basis of predetermined general clinical priorities.